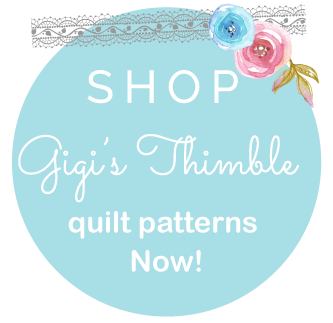 Gigi's Thimble: Seriously. It. Was. Awesome. I wish I could do that every day. Yesterday was so great. Lori Holt is seriously the master. There was a few moments yesterday, at the class, where I honestly felt a little overwhelmed, but once I got going it was the kind of thing that made me want to jump up and down. Really. Like I was trying not to. I was so excited about my new applique skills that I stayed up till 1 this morning just plugging away at my "Count Your Blessings" block. Anyways, I couldn't find anyone to go with me to the class, so I went solo. Everyone was so nice. I did get to meet some new people in the quilting world and I had a blast with my new friend, Rae Ann (from Stash Manicure). And Kayleen was there! She's the "Long arm Master"! And Lori. I wish I could have got some pictures of my one-on-one time with Lori, because believe me - I jumped at the chance to get some pointers from her. She was so great to sit right beside me, watching my method and showing me an easier, better way. "It's like sweeping under the couch" she would say! If you don't know Lori, you should know that everything she owns, is darling and everything she touches, turns to gold. Look ~ isn't this the cutest little sewing box you have ever seen?!? And her pincushions ~ so cute! And the basket, and the tag (which are holding her NEW Paper Dolls pattern, which she just released!!) ~ so cute! And her vintage sheet/tablecloth ~ so cute! I love the nails in the "How to Build a Scarecrow" quilt above. Everything looks so real. I can tell you that if I tried to design those overalls or that plaid shirt, it would be scary!! Isn't the border on this "Thanksgiving Dinner" quilt so pretty?!? She's got every detail you could think of (when it comes to Thanksgiving dinner) on this quilt. Here's her "Cottage Garden" quilt. I LOVE the little geraniums in the middle. They're just darling. And again, if I tried to design some fabric geraniums...well, you just wouldn't know they were geraniums. So, as you can see, yesterday was simply a blast. Thanks Lori for being willing to teach one more time for us...I knew I couldn't pass up an applique lesson from you and I'm so glad I didn't! That is so awesome that you were able to go and learn from Lori! Here quilts are amazing. You don't give yourself enough credit though because your quilts are awesome! This is just amazing. I think I would be overwhelmed too! Her quilts are quite the undertaking. How precious they are! You did a great job! I loved taking a class from Lori last spring...she is amazing...you truly do learn soo much from her! Rae Ann is just as wonderful as can be too...I enjoyed getting to know her when I took the class from Lori as well! Oh Amber ... I *wish* I could have been there!! I have never appliqued before and to learn from someone who does such beautiful work ... oh how blessed you are!! Oh my....I wanted to jump up and down with you....I wish I could have been there. What an exciting evening. You made alot of progress on your block. What a great opportunity for you. I wish I could have gone with you. I absolutely love her quilts - so much detail and love in each one. Thank you for sharing with your photos. I have to ask was this a RS activity or something, that building looks very familiar. Thanks for sharing. Oh, your appliqué is looking so nice! You lucky girl! Next time, I'll be your buddy! I LOVE Lori and would love to take one of her classes! I'm sad she's not doing appliqué club again for a while, because I planned on joining her next one. My favorite of hers is "Woman's Work." As a matter of fact, I pulled it out last night and worked on it a bit b/c yesterday was Lori Holt day. 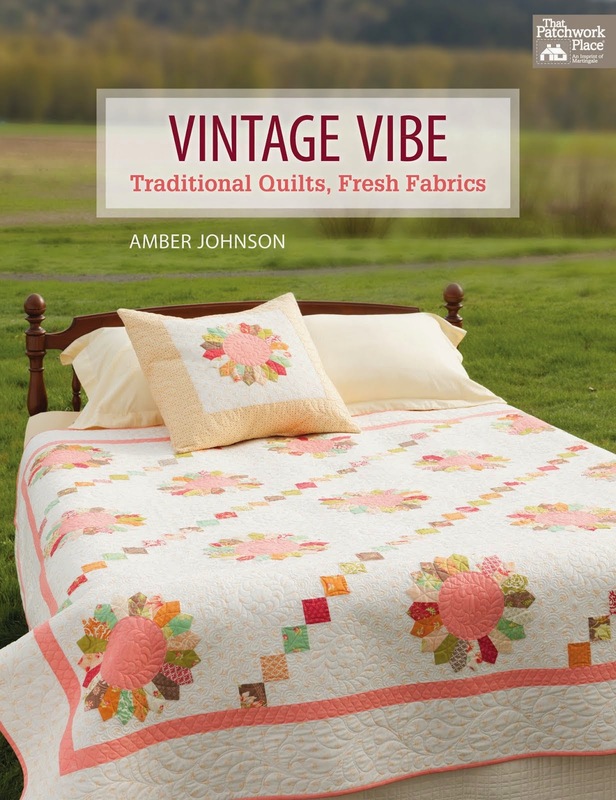 I also have her "Cottage Garden" and "Quilter's Life" patterns. She is amazing! 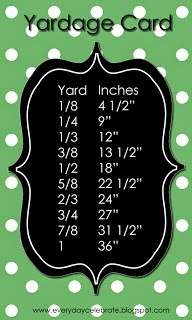 I'm hoping I can win Paper Dolls on her blog giveaway b/c it is so adorable. I'm off to stitch a bit on my Woman's Work quilt. She is just so clever. I'm working on a roll of paper towels. How cute is that? Amber, that class sounded like so much fun. You girls areso lucky in the States have the talent of so many wonderful women available to you. 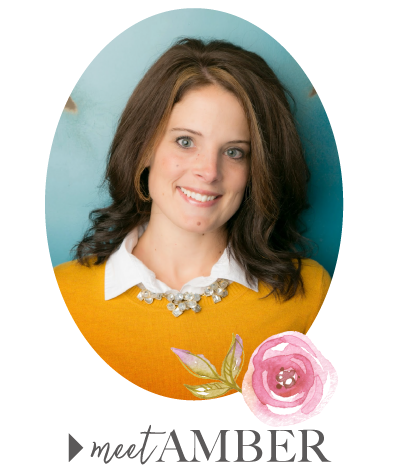 Thanks for sharing your experience with us Amber! I know I would JUMP at the chance to attend Lori's class! Have fun using your new skills. No one would go with you? Dang it -- if I were there, I would have! It looks likek you had a great time and your applique looks fantastic. Looks like the lessons did their work! You are making good progress on your block:)...and staying up until late?...I love it...now you are officially an appliquer! It was so fun to meet you and the other girls...It makes me happy to hear that you enjoyed my class...thanks for letting me teach you:)...you were an A plus student! Ambs, I'm sad you had to go solo but it looks like you're making tons of new friends in a world that you're so passionate about. Way to go! P.S. That sewing quilt at the end was my favorite too...amazing! I have envy....your day was delightful and I bet you are glad you went alone. The last quilt is my favorite!!! I think you might have had a good day ..... I'm just not quite sure as you didn't really say how wonderful it all was - ok. I'm kidding, you obviously had a FABULOUS time!! How fun. That looks like my kinda day. Your project is so cute. That trunk show is unbelievable. How talented that lady is. Loved the little chair pincushion. So Cute.